Improved black grouse habitat connectivity on both public and private ground. Softened forest edges adjacent to feeding grounds on public and private ground. Increased awareness about the status and requirements of black grouse in Argyll. Black grouse are a charismatic bird prioritised for action in the UK Biodiversity Action Plan and the Argyll and Bute Biodiversity Action Plan (LBAP). The birds’ distribution has declined drastically across Western Europe. Since the Black Grouse Recovery Project started in 2002 all of Argyll & Bute has been surveyed for displaying males. Survey work across four years shows that black grouse numbers are at a critical level and require urgent conservation action. More information has been gained on their numbers, distribution and behaviour. 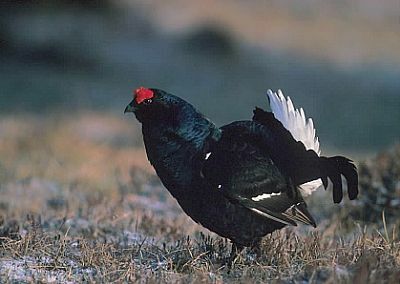 Black grouse are a flagship species of the upland edge. They use a wide range of habitats including moorland, upland bogs, broadleaved woodland, rough grazing and commercial forests. Management for black grouse will enhance these habitats and other species dependant on them. 50 ha of open habitats restored for key LBAP habitats and species. 20 people attending black grouse safaris each year. 12 volunteers trained to monitor population changes and habitat management success. 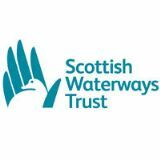 Lead Partner – Forestry Commission Scotland.